Picture ledge is one of my favorite choices for displaying wall art. 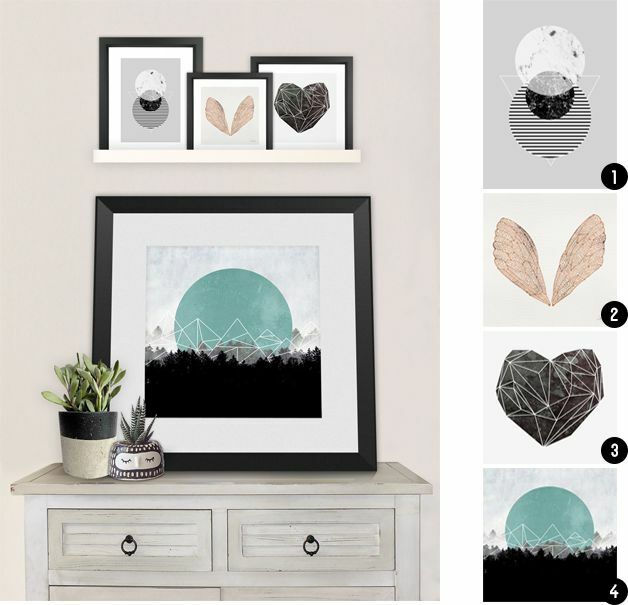 It is the “magic touch” that enables you to display a collection of art or photos that are different in style and framing but somehow work just great together. The “messy” look is the secret to success. I also like the fact that while in the “traditional” way of hanging pictures on a wall, you need to arrange and locate every frame in advance, here you can re-arrange and replace them with no hassle and without the need to punch new holes in your wall … perfect! Use a variety of frames in different styles and sizes to give it the “casual” look that makes it so pretty. Mix color tones – black, white, wood and silver for the Scandinavian look, touches of color for a more “vivid” display. 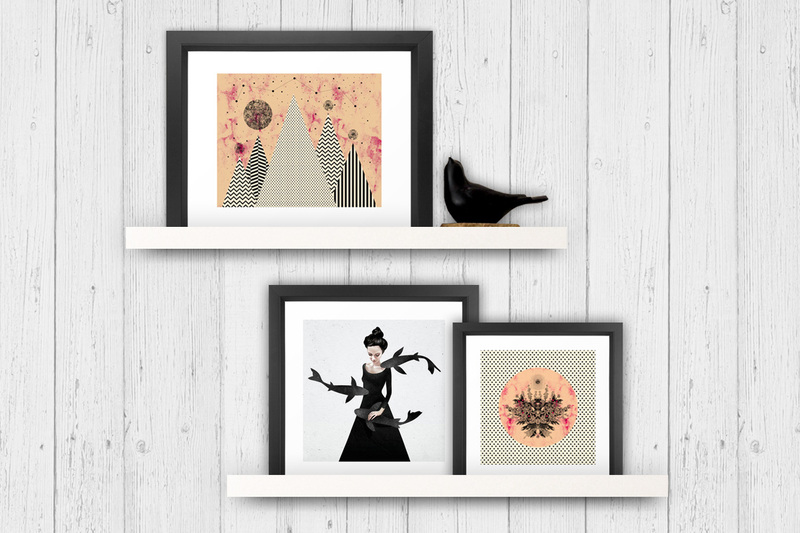 When choosing the displaying pictures, combine art styles: photos, illustrations, typography, modern or traditonal art. Experiment: simply add or remove frames and pictures until you get the perfect combination for your gallery wall with shelves.